Winston Churchill told the House of Commons on June 4, 1940, that he had every confidence Britain could "ride out the storm of war." The Wehrmacht lost the war because the conflict was long, and it was long in part because Churchill refused to abandon the fight, but chiefly because Germany's main war aims were impossible to attain. Andrew Roberts suggests that if the war had been a purely military rather than a political contest, fought without errors on the German side, then the Germans might have won. The Germans enjoyed advantages in weaponry, engagement, tactics, and sometimes strategy. But at the moments when strategy was linked to politics, the German advantage was lost. Hitler's war aims were vast, unrealistic, and inextricably enmeshed in an ideology that celebrated destruction. Roberts notes errors. Hitler, he says, should have begun the war in 1942 rather than 1939. He should not have allowed the British to escape at Dunkirk as France fell. He should have arranged for the Japanese to help in the invasion of the Soviet Union. And so on. Roberts says Churchill personally helped lengthen the war by keeping Britain from seeking peace terms after the fall of France. The war-winning alliance of the United Kingdom, the United States, and the Soviet Union was sealed only in December 1941, and could not have been achieved had Britain left the war. The fact that Roberts appears to use only English- language sources cuts against his ability to weigh convincingly what Hitler and other Germans considered possible. If Hitler had begun the war three years later, surely very many other things would have been different, and not all of them to his favor. German forces did not befriend the non-Russian minorities and assist the hungry peasantry in the Soviet Union because they were embarked on a war of racial colonization that was meant to kill tens of millions of Jews and Slavs. And Japan did not help the Germans in the Soviet Union because Hitler did not want Japanese help. Tokyo had been alienated from Berlin by the Molotov-Ribbentrop pact of 1939, in which Berlin seemed to exchange its alignment with Japan for an alliance with the Soviet Union. If Poland had agreed in 1939 to join Germany in an invasion of the Soviet Union, Britain and France would not have declared war on Germany and Poland in order to save the Soviet Union. The starting line for the invasion would have been farther east than it was in June 1941, and Japan might have joined in. In this scenario, there is no Molotov-Ribbentrop pact, no alienation of Japan from Germany, no Pearl Harbor, and no American involvement. World War II becomes a German-Polish-Japanese victory over the Soviet Union. That was the scenario Stalin feared. Timothy Snyder is the author of Bloodlands. Lawrence Burgis was an assistant to the deputy secretary to the War Cabinet between 1939 and 1945, a junior post that mainly consisted of taking notes at meetings. According to the diarist James Lees-Milne, Lawrence Burgis was "the last serious attachment of Lord Esher’s private life" (although it was unreciprocated). When Esher and Burgis first met, Burgis was a 17-year-old schoolboy at Ing’s School, Worcester, and the 57-year-old Reginald, 2nd Viscount Esher, was a former courtier to Queen Victoria. Burgis was "alert, intelligent and eager to learn", and it was down to Esher that he secured a place on the staff of the Cabinet Office before the end of the Great War. That he knew he was breaking the law in not destroying his notes is evident from his unpublished autobiography. Burgis certainly had an eye for history. "To sit at the Cabinet table at No 10 with Churchill in the chair was something worth living for," he wrote. "Perhaps some would have paid a high price to occupy my seat, and I got paid for sitting in it!" He hugely admired Churchill. 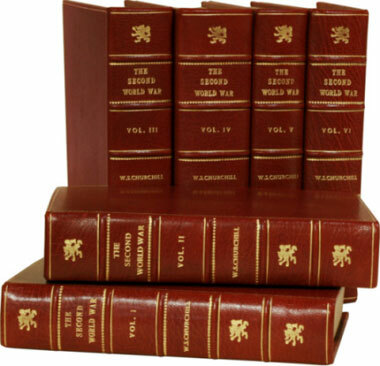 Burgis' verbatim reports tell us a great deal about the way the War Cabinet worked. Our appreciations of many key decisions of the Second World War now need to be reassessed. After the Yalta Conference of February 1945, Burgis records Churchill telling the first War Cabinet that, "Stalin I’m sure means well to the world and Poland. Stalin has offered the Polish people a free and more broadly based government to bring about an election." Words that would have embarrassed Churchill deeply later were to stay hidden for six decades. On another occasion, Churchill told Smuts: "You are responsible for all our troubles in India – you had Gandhi for years and did not do away with him." To which Smuts replied: "When I put him in prison – three times – all Gandhi did was to make me a pair of bedroom slippers." Churchill usually wanted to adopt the most extreme option. In response to the Lidice massacre in Chelmno, Czechoslovakia – in which the Nazis had killed hundreds of villagers in retribution for the assassination of Reinhard Heydrich – the prime minister "suggested wiping out German villages (three for one) by air attack." The bombing of Germany in June 1942 encouraged Churchill to observe that he could not see why "the disgusting stertorous slumber of the Boche should remain undisturbed," and on another occasion, urging that the size of bombs to be dropped on Germany be increased, he complained: "We might as well drop roasted chestnuts." Suddenly literally hundreds of new Churchill quotes, anecdotes, apercus and jokes have appeared, courtesy of the diligent note-taking of a man few people had ever heard of before today. Andrew Roberts is a Stakhanovite historian, rivalled only by Sir Martin Gilbert, Churchill's official biographer. Masters and Commanders tells the story of the crucial strategic choices made by the British and the Americans during the second world war through the eyes of their two political leaders, Churchill and Roosevelt, and the military commanders of their armed forces – Sir Alan Brooke, the chief of the imperial general staff (later Viscount Alanbrooke), and General George Marshall, the US army chief of staff. Roberts has stumbled upon the verbatim notes of Churchill's war cabinet meetings made by Lawrence Burgis, assistant secretary to the cabinet. Burgis' notes had lain unnoticed in the Churchill Archive at Cambridge since 1971. In addition, Roberts is one of the first to view, at the National Archives, the verbatim notes of Norman Brook, deputy secretary to the cabinet from 1942, publicly released only last year. He has also consulted around 60 collections of private papers. The real value of Masters and Commanders lies in its analysis of the struggle on the part of the British and Americans to reach agreement on grand strategy. Although the story is familiar, the analysis is not. Roberts displays a profound understanding of the interaction between strategy and politics. Churchill, as is well known, was opposed to an early Second Front. He believed that the war could be lost through a premature invasion of France. Roberts thinks he was right. General Marshall, however, wanted to engage with the Nazis on the Continent as soon as possible. Roosevelt was the arbiter. He did not side unequivocally with his chief of staff, but showed great sympathy for the British point of view until late in 1943. Churchill knew a great deal about grand strategy, though perhaps not as much as he thought. He was certainly brimful of strategic ideas. Roosevelt unkindly said that Churchill had a hundred ideas a day, four of which were good. 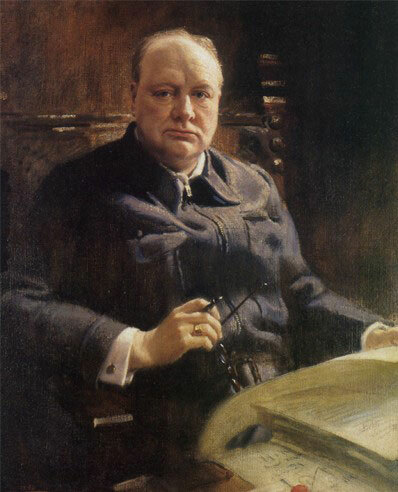 Gallipoli had shown Churchill the danger of overruling expert advice. He had learnt his lesson. That was one reason why he appointed, as CIGS, the stubborn and abrasive Brooke, one of the few who could resist his powers of persuasion. On one occasion, Brooke was far ruder to Churchill than he had any right to be. The prime minister was shocked. An emissary told Brooke, "The Prime Minister is frightfully upset and says you hate him." Brooke replied, "I don't hate; I adore him tremendously; I do love him, but the day that I say I agree with him when I don't, is the day he must get rid of me because I am no use to him any more." Churchill emerges from the story greater than ever, often infuriating, but never failing to rise to the challenge of the events over which he presided. "For all the frustrations it caused him," Roberts concludes, "Churchill preferred the democratic way of making war". It was precisely because decision-making in Britain and the US was consensual, not imposed, that the madcap schemes of the "masters" could be checked by the "commanders". It is fortunate that the Nazi military leaders, Jodl and Keitel, were too cowardly and fearful to impose a similar check on their own lunatic master. Heike Görtemaker has written easily the best biography of Eva Braun so far. 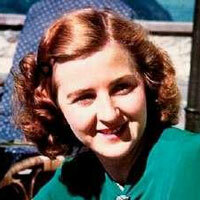 Yet at its heart is a massive void, where Eva Braun's personality should be. Born in February 1912 in Munich, Eva was "young, blonde, athletic, fun-loving" and became "a young woman of average abilities from a conventional lower-middle class family". She was utterly uninterested in politics and when she was introduced to Hitler in 1929 she didn't recognize him. She was 17, he was 40. At the end of the evening Hitler offered her a lift home in his Mercedes. Over the next two years, Adolf took Eva to movies, operas, and drives in the country, and also had Martin Bormann check that there was no Jewish blood in her family. Hitler once said: "I am married to the German people and their fate!" The relationship seems to become physical shortly after Eva tuned 20. Albert Speer recorded how, although any public displays of affection were rigorously avoided, at the end of the evening the couple would "disappear together into the upstairs bedroom". Hitler agreed to meet her parents in 1935 and in 1938 he bought her a house in Berlin. Eva saw relatively little of Hitler during the war. When they were together she would often take film and photos of him with various children. Otherwise, Eva spent the Second World War skiing, swimming, gossiping, reading celebrity magazines, and enjoying the rest of her utterly trivial existence. On April 29, 1945, in the Führerbunker in Berlin, she married her man. The next day they committed suicide together.